Your little princess will be super happy to see this amazing butterfly bounce house. 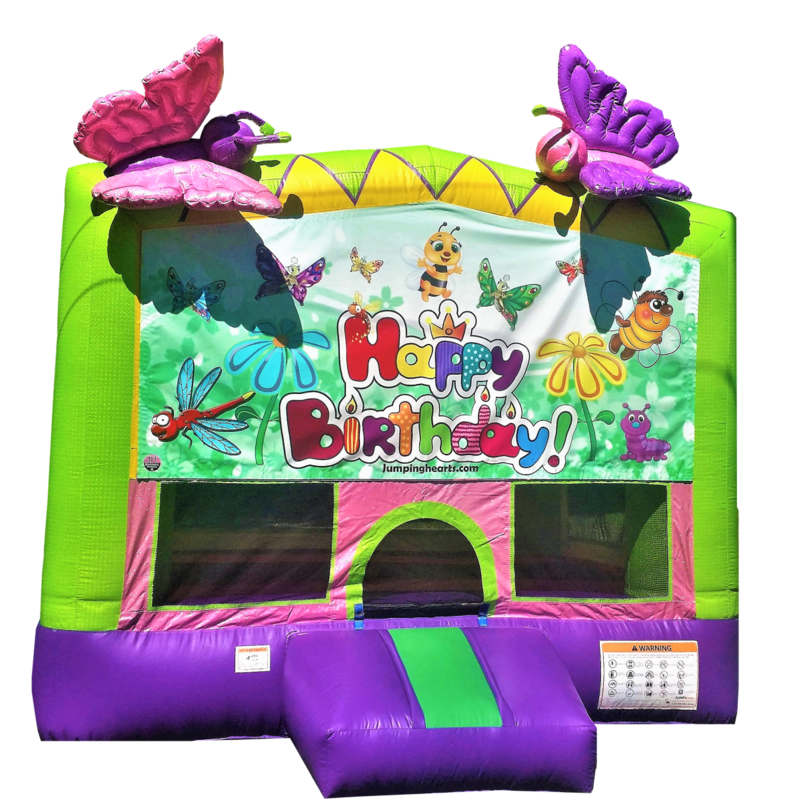 This is a sparkly and cute bounce house, designed with awesome graphics of friendly and beautiful little insects and it will bring the biggest and brightest smile to your little one!!! Check the details on this super girly bounce house! We also offer tables and chairs, concession machine rentals and party supplies!